Cheryl Esposito welcomes Dr. Lise Janelle, DC, Transformational Coach & Founder of Center for Heart Living dedicated to empowering people by connecting them to their core values. Lise is author of Conversation with the Heart: Reveal Yourself to Yourself. In her 22 years as a healing professional, Lise saw her patients get better but not always stay better. She began to suspect something deeper was at work. As she questioned, she understood that people held limiting beliefs in their lives that influenced their success, health & well-being. She names these areas the Eight Mirrors of the Self. “These mirrors reflect who we think we are at the moment, but they are not who we are” at our core. Lise teaches two conversations to have with our heart, to create breakthrough to our best health, highest success, & deepest well-being. Want to know what these are? 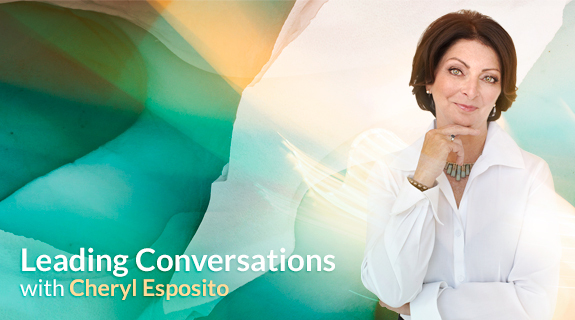 Join Cheryl Esposito and Dr. Lise Janelle to begin the most important conversation you may ever have, the conversation with your heart.